Are Economic Development and Bhakti Mutually exclusive? The beauty of Vedic life lies in recognizing difference in the nature of different human beings, in their proclivities and natural capabilities (that is why varnasrama) and further sanctifying everything, including the carnal requirements (that is why daivi-varnasrama); therefore the pursuit of artha and kama was also defined by dharma or morality. Development has generally, unless specified, has come to be understood as “economic advancement”. Let us understand this material or economic development little more analytically. “Having attained this human form of life, we should inquire after Brahman.” “What is God? Who is God? What is my relationship with Him?” These questions distinguish human being from animals, and mark the beginning of Krishna consciousness – atatho brahma jijñasa. The modern civilization may foolishly encourage boatmen to go sailing without rudder, but traditionally people’s material life was also guided by spiritual paradigms. They catered to everybody’s interest. Vedic way of life recognized catur purusharthas or the four goals of human life in the material world – moksha (liberation), dharma (religiosity), artha (economic development), and kama (passionate desire). Moksha and dharma take care of the higher spiritual development of a human being – mind, while the other two,– artha and kama – though considered inferior to other two , are responsible for securing the bodily requirements of a human being. One may feel that when the higher goals itself are being eliminated, where is the room for other two, which are anyways obviously considered lower, catering only to the physical requirements. The beauty of Vedic life lies in recognizing difference in the nature of different human beings, in their proclivities and natural capabilities (that is why varnasrama) and further sanctifying everything, including the carnal requirements (that is why daivi-varnasrama); therefore the pursuit of artha and kama was also defined by dharma or morality. Hence, while Vedas extolled being “anyabhilashita shunyam” also acknowledge the presence of desires in majority of people and thus suggest ways how they can accomplish their desires without compromising on the spiritual component. So, the superscript of dharma – one could indulge in sense gratification but on the condition that it did not violate the injunctions of dharma (varnasrama dharma). The four purusarthas remain different processes of fruitive activities and help in making a human being lead more civilized life than animals and slowly help him evolve towards realizing the higher goals of life. But where are we when studied in relation to this perspective? Though we are aware of cultivating bhakti being the only worthwhile goal of life but since not everybody is a devotee like Haridas Thakur just by dint of they also being humans. There will always be variegation in basic nature and propensities. In this age, economic development will almost always appear top on the chart as it facilitates other sense gratifications, but our intelligence lies in acknowledging these differences and working out a solution. Are economic development and spiritual development (bhakti) mutually exclusive? Fortunately, they can coexist. 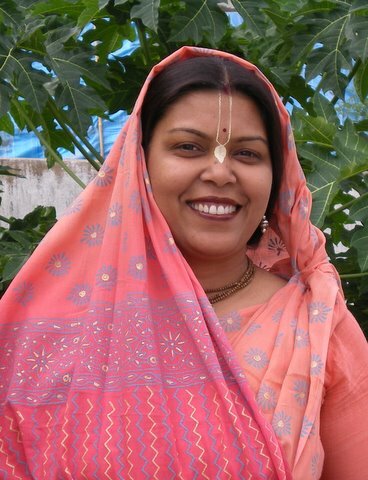 Daivi varnasrama set up is a social set up which allows for our differences, even those with lower intelligence have room to grow and find themselves gradually on the path of bhakti (by serving other classes). Economic prosperity, even when seen from common sense perspective, appears shallow. What will it ultimately allow? – Better comforts, better and more luxurious way of enjoying our senses (eating, sleeping, mating, and defence). Does it make us in any way different from animals? Speeding around on our four wheelers has only made us compete with dog (who also runs on four feet), we are mere “royal editions of animals”. Srimad-Bhagavatam denounces human beings who waste their life working hard to earn money and are compared to asses kept by washermen which carries the heavy load of washing, in the hope of a handful of grass. But it never occurs to him that grass is growing everywhere and that he could get it freely without so much endeavor. Working in this way, human beings are missing the aim of life, which is spiritual development. krsi (agriculture), go raksha (cow protection) and vanijyam (trade and commerce) and is imbued in the love for Guru and Godhead, everybody will have the opportunity to make the most of their human birth. Thereby allowing artha (economic development) and bhakti go hand in hand. Hare Krsna!